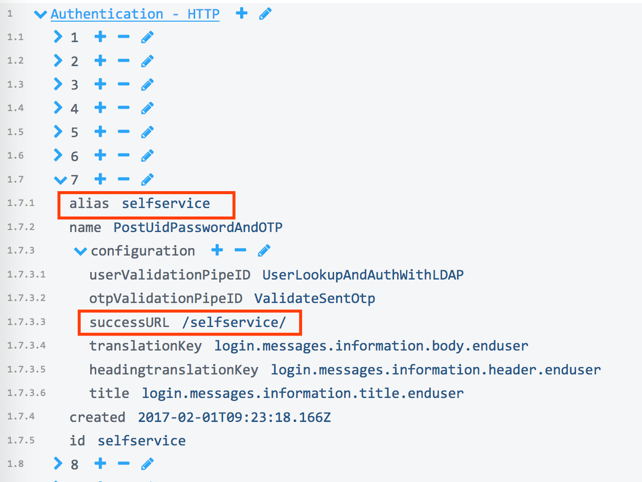 Internal authenticators are used to protect PAS internal web resources such as Configuration Manager (/config), MFA Admin (/mfaadmin), Self Service (/selfservice) and MyApps (/myapps). The internal webapps will by default be protected with a Username and Password authenticator (PostUidAndPassword). Please make sure to have a backup copy of the configuration before changing the settings for the authenticators, as you might be locked out if configuration is misconfigured. Please follow these guidelines in order to replace the default authenticator with one of the other internal authenticators. Add configuration for the desired authenticator to be used. 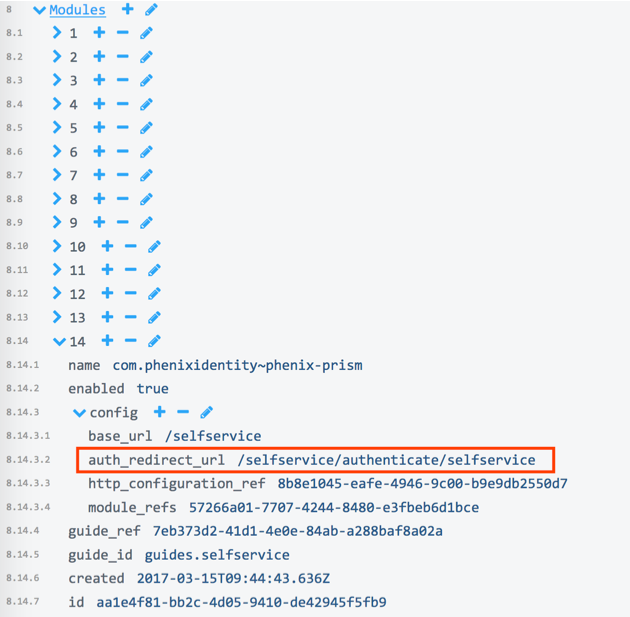 Log in to the configuration UI, go to the "Advanced" tab and expand "Modules"
Locate the com.phenixidentity~phenix-prism module that contains the webapp that you would like to reconfigure. Locate the authenticator previously configured.